Lozowchuk recently scored Zoe Leigh Hopkins feature film 'Kayak To Klemtu', which opens on May 25, 2018 in select cities across Canada. 14-year-old Ella is determined to travel the length of the Inside Passage, along the shores of the Great Bear Rainforest by kayak in order to testify against a proposed pipeline that would see oil tanker traffic through her beloved homeland waters. She's prepared to handle all of the challenges the wildlife, the weather, the water, and her gear have to offer up. The most challenging of all is that she has to bring her dysfunctional family with her. Her neurotic aunt, her cranky uncle, her wayward cousin, and the memory of her late uncle all come along for the ride to make it a fun and amazing adventure. From Tla'Amin to Klemtu, BC, this family navigates their blend of cultures and desires, while their spirits honour the coast as a place for each of us to call home and protect. Mongrel Media is distributing the film theatrically. After a decade of work on the Dead Rising franchise, having started on Dead Rising 2, soundtrack composer and producer Oleksa Lozowchuk decided to document the process of making the Dead Rising 4 soundtrack in a behind-the-scenes video. See firsthand what goes into making an award-winning AAA game soundtrack. Lozowchuk wins BEST SONG/SCORE – TRAILER (film/tv/games) for 'Coldest Time of Year', from the Dead Rising 4 Soundtrack, at the 2017 Hollywood Music and Media Awards. The awards took place at the Avalon, in Hollywood, CA on November 16, 2017. All the winners signed a guitar for a charity give- away helping doctors who are serving abroad. 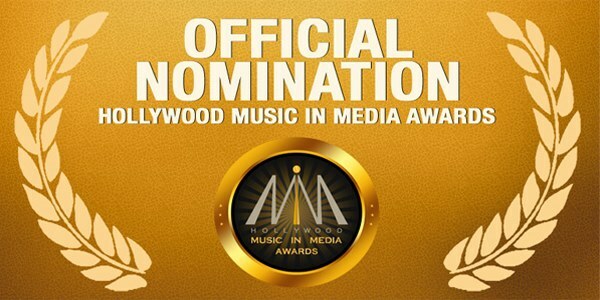 Lozowchuk has been nominated for two 2017 Hollywood Music in Media Awards. BEST ORIGINAL SONG – VIDEO GAME for 'Oh Willamette' and BEST SONG/SCORE – TRAILER (film/tv/games) for 'Coldest Time of Year', both from the Dead Rising 4 Soundtrack. 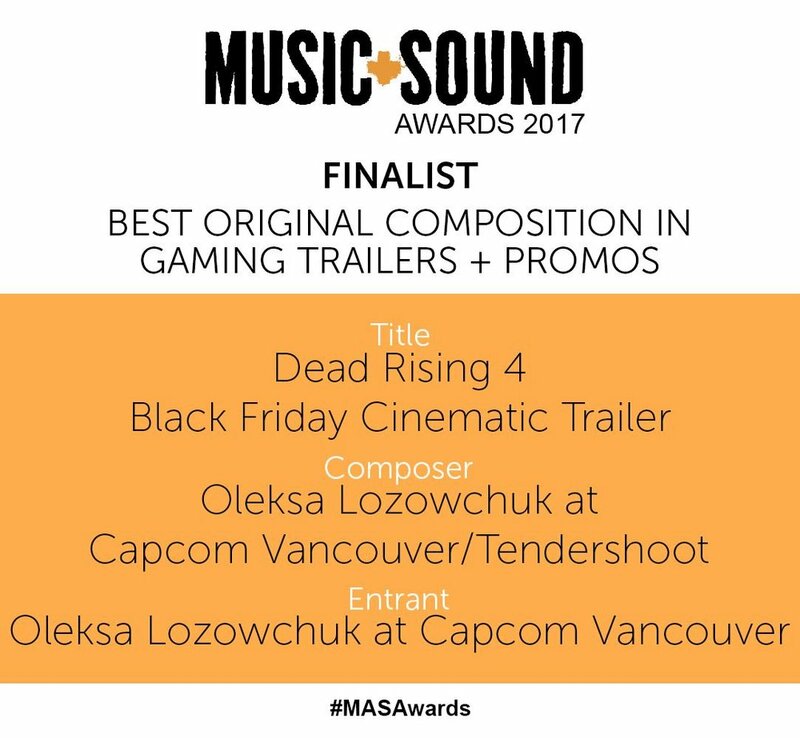 Oleksa Lozowchuk has another nomination for consideration on the first round ballots of the 60th Annual Grammy Awards, for his latest soundtrack: Dead Rising 4. This soundtrack features ~40 original song recordings, 5 hours of music and features artists from around the world (NYC, Nashville, LA, Tbilisi, India, etc.) including Jon Hassell, Deezle, Rachel and Dominic Davis, John Luongo, the Tsbilisi Big Band, the Braxton Cook Quartet and many more. This is Lozowchuk's 5th 1st round nomination for the Grammys. 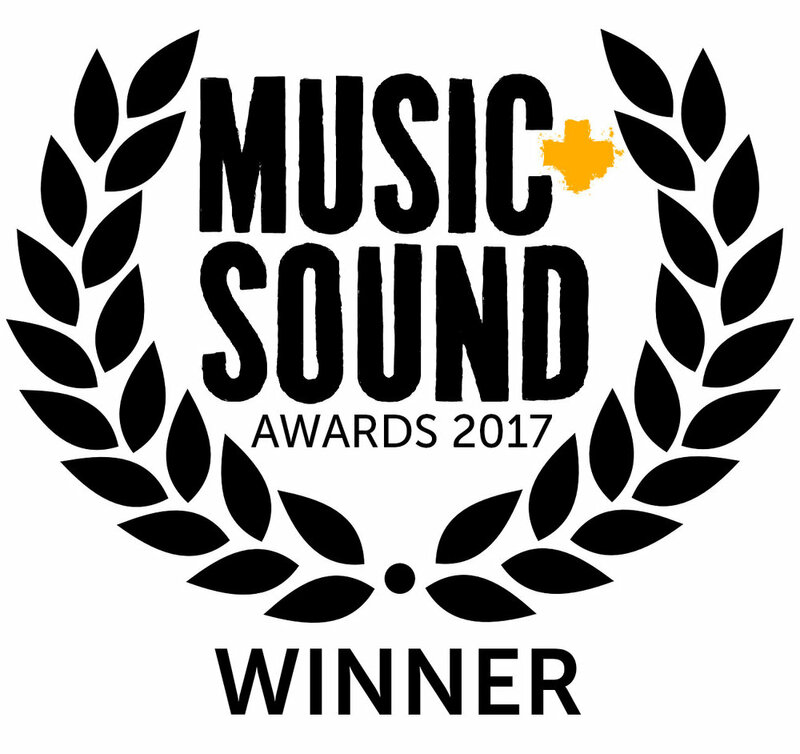 Lozowchuk was nominated for a 2017 Music & Sound Award for his original song 'Coldest Time of Year'. Lozowchuk composed and produced the score for the game trailer 'Dead Rising 4: Black Friday Cinematic Trailer'. It features Melissa Kaplan on female vocals. Lozowchuk's emotional score for Patrick Sabongui (Homeland, 300) and first time director, Kyra Zagorsky's (Helix, Continuum) short film, The Prince, will premiere at the Crazy 8s film festival on February 25th, 2017 . A young dancer and her uncle struggle with what it means to be Middle-Eastern/Canadian in a post 9/11 world after being victims of a violent assault on public transit. The film bounces back and forth between an impassioned young girl performing a dramatic interpretive dance, and a young man struggling with a life-changing career decision. ACG's Karak interviews Oleksa Lozowchuk about his work on Dead Rising 4. They discuss career path, creative flow, horror stories and lessons about making music for the intense world of AAA game development. Lozowchuk's big band Sinatra-esque Christmas anthem 'Oh Willamette', from the Dead Rising 4 soundtrack, was nominated for Best Original Vocal Song - Pop at the 15th Annual Game Audio Network Guild Awards. This is Lozowchuk's 4th nomination for a G.A.N.G. award. Take a listen to the original penned by Lozowchuk and performed by crooner Douglas Roegiers. As the lead composer for Dead Rising 4, Oleksa Lozowchuk was responsible for writing the soundtrack that fleshed out the town of Willamette, Colorado, site of a massive zombie outbreak, just as the Christmas season begins. Altogether, Oleksa estimates he and the team wrote over 12 hours of music, including the diagetic music for the story, as well as creating two radio stations: one of Americana, and one for Christmas favorites. In our conversation, Oleksa explains that the first step was creating an incredibly sophisticated engine to choose music for whatever the player and the zombies (!) are doing. Writing music not just for the story line of Dead Rising, but also creating playlists for two radio stations was a fun challenge – one Oleksa compared to being a chef, whipping up a multi-course dinner for a crowd one moment, and snacks to take a break in the next. When he's not writing music for games, Oleksa feeds his soul composing concert music, as you can hear in his album, Bright Sadness. Lozowchuk is helping score producer Patrick Sabongui (Homeland, 300) and first time director, Kyra Zagorsky's (Helix, Continuum) short film, The Prince, one of the 2017 top 6 shorts to be produced at the Crazy 8s film festival. A young dancer and her uncle struggle with what it means to be Middle-Eastern/Canadian in a post 9/11 world after being victims of a violent assault on public transit. The film bounces back and forth between an impassioned young girl performing a dramatic interpretive dance, and a young man struggling with a life-changing career decision. The Daily Dead interviews Lozowchuk about scoring both films and video games for the Dead Rising franchise. Lozowchuk describes how he injects both holiday cheer and fear into the musical material for the latest project, Dead Rising 4. Check out the interview here. Sam Hughes from the UK's The Sound Architect interviews Lozowchuk about the music for Dead Rising 4. Lozowchuk goes into greater detail about how many of the music features were created and implemented in the game. Check out the interview here. The Dead Rising series has turned into Oleksa Lozowchuk's musical playground, full of original songs, orchestral tracks, guest performers and experimental goodness. Accordingly, there is a lot of music in this episode, which covers the several hours of soundtrack and score to Dead Rising 4. It's always a pleasure to talk with Oleksa! Listen here.
" Dead Rising 4's soundtrack is best described as - atonal zombie action meets Classic Christmas in the Midwest," said Oleksa Lozowchuk, Dead Rising 4composer and soundtrack producer. "Our hero, Frank West, returns to Willamette, Colorado this holiday season, amidst a glorious cacophony of Americana, swooning sounds of Christmas cheer, and pure orchestral horror bliss." The soundtrack was mastered by David Travers-Smith, and was released by Sumthing Else Music Works on December 2, 2016. Lozowchuk helped sculpt musical sound design for fellow composer Kevin Lax, on a recent Netflix film 'Burning Sands', directed by Gerard McMurray. Lozowchuk created an edgy palette of musical sounds based on recordings of human and organic materials. The film is set to release later in 2016. Lozowchuk teamed up with the very talented composer Boris Salchow to score secret agent Robbie Williams' latest ad 'The Quest' for the new Café Royal campaign 'In The Service of Good Taste'. Director: Marc Schoelermann. Ad Agency: Serviceplan Suisse. Production Company: Markenfilm. The Academy of Canadian Cinema & Television nominated Lozowchuk for his compelling musical score on the feature documentary SOL at the 2016 Canadian Screen Awards. The score was nominated for Best Original Music for a Non-Fiction Program or Series. Congratulations also to Marie-Hélène Cousineau, and the rest of the team on receiving 4 other CSA nominations for SOL. Listen to SOL's main theme. The internationally recognized Winnipeg New Music Festival is celebrating its 25th year anniversary in 2016, and is featuring the music of Lozowchuk. Lozowchuk's rich and ornate choral work 'Waters of Rest', written for 13 voices, will be performed by Polycoro, as part of the concert program: 'Invitation to Silence'. Over the years, the WNMF has featured distinguished composers such as Arvo Pärt, Gavin Bryars, Steve Reich, John Corigliano and John Adams. 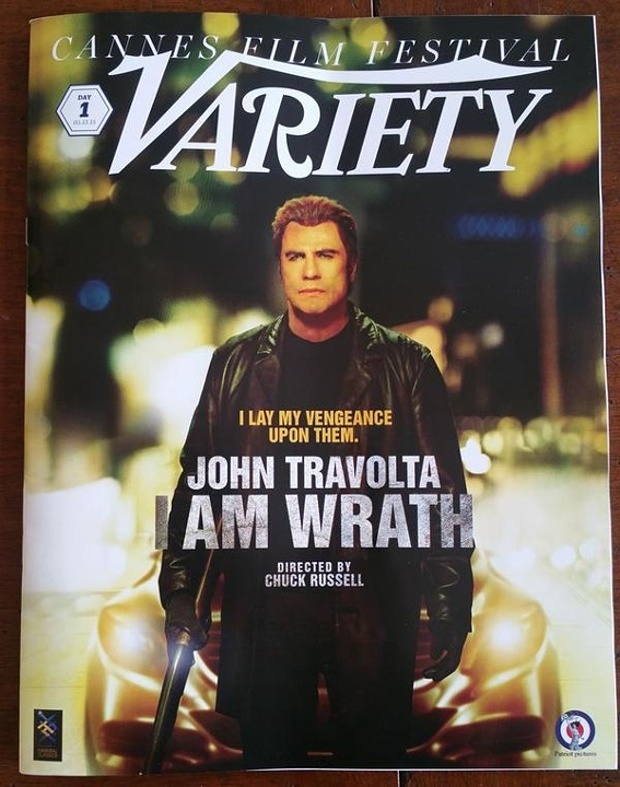 Lozowchuk's 'Can You Handle Me' is featured in I Am Wrath, an upcoming American action thriller film directed by Chuck Russell and written by Yvan Gauthier and Paul Sloan. The film stars John Travolta, Christopher Meloni, Amanda Schull, Rebecca De Mornay, Sam Trammell and Luis Da Silva. John Travolta plays Stanley, a man who takes matters into his own hands when he discovers a plot of police corruption after his wife is murdered. The film is due for release in 2016. The Quebec Symphony cello section performed an arrangement for 8 celli of 'Joy Of All Sorrow' from Lozowchuk's chamber suite 'Bright Sadness', on October 21, 2015 in Quebec City. Lozowchuk is the co-owner/creative partner of a new production studio - Interleave. Interleave is a 360 full-service production company based in Vancouver, Canada. We specialize in visual effects, next-gen media content, live-action production for both feature film & advertising, and full audio-post production. While producing our own original IP, we also work with studios, ad agencies, publishers and individual clients to create world-class content for all markets. Check out our Facebook page for all the latest updates on projects we're working on at Interleave. The new Manitoban choral ensemble Polycoro recently performed Lozowchuk's choral work Waters of Rest, written for 13 voices. Listen to the concert recording here. Lozowchuk scored additional music for Season 3 of DirecTV's television series 'Rogue' starring Thandie Newton and Cole Hauser which premieres Wednesday, June 24 at 9pm ET/PT on DIRECTV’s AUDIENCE®, channel 239. Watch the series trailer. In his most in-depth interview to date, Lozowchuk recalls his journey towards becoming a musician. He reflects on his music for the Dead Rising series, including the AGMA-winning Dead Rising 3 and the recently-released feature film Dead Rising: Watchtower, while introducing listeners to some incredibly emotional pieces from his film and classical repertoires. This interview is supplemented with various music clips, including exclusive samples from the films Watchtower and SOL. Read the interview here. Lozowchuk's alma mater's alumni magazine, the Campion Brag, recently interviewed Lozowchuk about his career and the art of writing for media and the concert stage. Read the interview here. Lozowchuk scored and music supervised Legendary Pictures latest feature 'Dead Rising: Watchtower', premiering on Crackle (Sony's streaming platform) this coming March 27, 2015. The film was directed by Zach Lipovsky, and features stars Jesse Metcalfe, Meghan Ory (Dark House), Rob Riggle (21 Jump Street), Virginia Madsen (The Number 23) and Dennis Haysbert (24). The soundtrack features over 100+ minutes of original score, and songs. Lozowchuk scored Marie-Helene Cousineau's latest feature film 'SOL', which was also selected for the Toronto International Film Festival's 'Canada's Top Ten Film Festival'. The film will be screening on January 4th, 2015, at the TIFF Bell Lightbox in Toronto. Lozowchuk score for Marie-Helene Cousineau's recent film 'SOL', has been very well received. The film continues to have a powerful impact on audiences, and was recently awarded the Grand Prize for Best Canadian Feature at RIDM. Oleksa Lozowchuk has 4 nominations for consideration on the first round ballots of the 57th Annual Grammy Awards. Final nominees will be announced on Dec.5th, 2014. Minnesota Public Radio host Emily Reese interviews Lozowchuk on Episode #207 of her series 'Top Score'. "Best known in the video game world for scoring the humorous and addicting Dead Rising 3, Oleksa Lozowchuk is a fascinating man with a deeply genuine love of music. Lozowchuk provided Top Score with one of the longest interviews we’ve ever had the pleasure of conducting. Enjoy some samples of his work, and hear him describe his start and what music means to him." Lozowchuk's latest score for Marie-Helene Cousineau's feature documentary 'SOL' will have its world premiere in Toronto, on October 24th, 2014, at the IMAGINENATIVE Film Festival. The 75 minute film features over an hour of original score by Lozowchuk. Host Emily Reese, recently gave a short preview of some of the composers' work on Top Score. http://tinyurl.com/phfbplo. "I'm new to Lozowchuk's music, and I absolutely love it. He has a way with a song, and writes terrific instrumental music as well," said Reese, who will be also be moderating the composer panel. Lozowchuk will be speaking at The "Maestros of Video Games" panel at PAX Prime 2014 in Seattle on August 30th, 2014. Moderated by Emily Reese, host and producer of Minnesota Public Radio’s “Top Score” podcast, attendees will receive a complimentary soundtrack sampler courtesy of premier video game soundtrack label Sumthing Else Music Works www.sumthing.com. The panel will be followed by a Meet & Greet / Signing Session – details to be announced. Lozowchuk has begun scoring the feature length documentary 'SOL' for director Marie-Hélène Cousineau (Uvanga, Before Tomorrow). The film explores around the issues of suicide in the North, and will air on Super Channel in 2015. Lozowchuk's latest score for Super Ultra Dead Rising 3' Arcade Remix Hyper Edition EX + α is now available for free at Sumthing Else Music Works. The soundtrack was produced by Lozowchuk, and features 35 original tracks, including works by and collaborations with Kenichi Yoshida and Hayate (Yoshida Bros), Pharaoh from the Beach, Damian Taylor (Bjork), Stu Goldberg (Mihavishnu Orchestra), QUAZR, SKY 13, Traz Damji, John Luongo, Steve Moore (Zombi), and Bruce Forat. Lozowchuk scored additional music on 10 episodes of Season 2 of DirecTV's television series 'Rogue'. Lozowchuk is scoring additional music for Season 2 of DirecTV's television series 'Rogue', helping out main series and fellow composer, Jeff Toyne. Check out Lozowchuk's latest soundtrack album review by Fearnet.com. Lozowchuk scored Capcom's Dead Rising 3 videogame, a Microsoft exclusive launch title for the XBOX One coming out on Nov.22, 2013. The complete soundtrack includes 99 tracks and over 5 hours of music from the game, and features original music by Lozowchuk, Traz Damji, Brian Reitzell, Sascha Dykician, Celldweller, Jeremy and Julian Soule, Dave Genn, Ashtar Command, and more. The soundtrack was mastered by Bob Lanzner (Technovoice) and is being released by Sumthing Else Music Workson November 19, 2013. Lozowchuk composed and produced the soundtrack for the Capcom/Microsoft AAA title 'Dead Rising 3' to be released this holiday season on Microsoft's new console XBOX One. Many great composers and artists were involved again...More information will be revealed closer to the launch of the title. Lozowchuk scored additional music for 4 episodes of DirecTV's original series 'Rogue' - helping out main series and fellow composer, Jeff Toyne. Rogue centers on a morally and emotionally conflicted cop, Grace (Thandie Newton), who is tormented by the possibility that her own actions contributed to her son’s death. Grace’s search for the truth is further complicated by her forbidden relationship with the crime boss who may have played a role in the crime. The 10 part series debuted on April 3, 2013. Lozowchuk teamed up with fellow composer Jeremy Soule, to score the 6 x 1 hour TV documentary series 'War for Peace', which explores Sweden's role in the war in Afghanistan. Lozowchuk scored episodes 4-6. Lozowchuk's new choral work for 13 voices, had its world premiere in Montreal by award winning early music ensemble SMAM (Le Studio de Musique Ancienne de Montreal) on June 5, 2011. The recording was later broadcast on the national broadcasting station CBC, and on Espace Musique. Lozowchuk scored Capcom's DR2: OTR game, released in October 2011. The score features new music by Lozowchuk, The Humble Brothers, and Jeremy and Julian Soule. T It also features a new main end credit theme song 'His Name's Frank' co-written/co-produced by Lozowchuk and rap artist 'Lifeseeker'. The official 'Frank Backstory/Missing Years' trailer also featured the original song 'Halfway Dead' written and performed by Lozowchuk, and co-produced with Brad McGiveron. The official soundtrack was mastered by Bob Lanzner (Technovoice) and released as part of a special game pre-order deal through Amazon.com. The official soundtrack for Capcom’s Dead Rising 2 game was released on November 16th, 2010. The soundtrack features over 145 minutes of original music composed by Oleksa Lozowchuk, The Humble Brothers, and Jeremy and Julian Soule. It also features the main end credit theme song ‘Kill the Sound’, a track co-written/co-produced by Lozowchuk and Klayton (known as the artist Celldweller), with additional vocals by the Humble Brothers. The double CD set was mastered by Tom Baker (Beastie Boys, Nine Inch Nails, Ray Charles) at Precision Mastering. Both the digital download and the subsequent double CD set were released and distributed by Nile Rodger’s music label, Sumthing Else Music Works. Oleksa Lozowchuk composed and produced the music for Capcom’s XBLA release ‘Dead Rising 2: Case Zero’. Lozowchuk collaborated with the Humble Brothers and the Soule brothers (Jeremy/Julian) on the prologue to the main sequel, which has received quite a bit of attention. As an Xbox Live release, DR2: Case Zero sold over 500,000 units within the first two weeks of sale. The release also features a licensed track by Celldweller. Oleksa Lozowchuk scored additional music and provided music programming for Sony Pictures Television Movie of the Week ‘Who is Clark Rockefeller?’, starring Eric McCormack (Will and Grace). It was premiered on March 13, 2010 on Lifetime Television. Oleksa Lozowchuk scored additional music and provided music programming for Lifetime Movie Network’s ‘Taken In Broad Daylight’: The true and inspiring survival story of kidnapped teen, Anne Sluti, and how she manages to stay alive by manipulating her captor, engineering her own rescue and negotiating her safe release after 6 days of hell. The movie premiered on February 15, 2009. Oleksa Lozowchuk composed, produced and remixed the ambient ‘right brain’ soundtrack to 2K Sports’ ‘MLB Front Office Manager’. The soundtrack features over 2 hours of original music by Lozowchuk, Roberto Lopez (Columbia), Dimitri Soukonnov (Montreal) and Jeff Toyne (LA/Vancouver). The Lastiwka Ukrainian Orthodox Folk Choir and Ensemble will be premiering Lozowchuk’s latest works and on October 4th, 2008, at TCU Place in Saskatoon, Saskatchewan. The works are set for SSAATTBB and folk orchestra (string quintet, dulcimer, sopilka, accordian, domra and percussion) and will be performed by the 60+ member choir and ensemble, as well as dancing by the Pavlychenko Folklorique Ensemble. Soprano Kami Lofgren will be premiering Lozowchuk’s latest work Yπεραγία on December 13, 2007, at Redpath Hall in Montreal, Canada. The work is for soprano, baroque violin and baroque cello, and is a setting in ancient Greek of a text from the Small Paraklesis Service of the Eastern Orthodox Church, in honour of the Dormition of the Mother of God. Oleksa Lozowchuk scored music for the TV documentary series ‘La Vie Apres La Mort’ (aka. Life after Death). “The documentary series brings us to life’s limit to make us discover unsettling near-death experiences and unexplained phenomena surrounding the other side.” The series was produced for Astral Media and is being broadcast on Canal D.
Three marimba superstars launch Soundstreams Canada’s Cool Drummings International Percussion Festival and Conference with a concert entitled ‘Marimba Madness’, taking place this May 22, 2007 in Toronto, Canada. Anne-Julie Caron, Beverley Johnston, Kuniko Kato, along with 3 Taiko Drummers, will dazzle in music from four continents. The concert will also be recorded by CBC Radio Two for future broadcast on Canada Live and The Signal. The world premiere recording of Lozowchuk’s ‘La Rencontre’ for solo marimba, will be performed by Adam’s artist, Anne-Julie Caron. The work was commissioned by Caron to be featured on her debut CD, to be released on the Austrian label, Classic Concert Records. The recording will also feature works by composers such as Astor Piazolla. The recording is slated to be released during the fall of 2007. Oleksa Lozowchuk’s music was featured in internationally-renown dance/theatre company Pigeons International’s recent dance trilogy ‘La Trilogie de la Terre’. ‘5AM’(Cinq heure du matin) was shown between March 29-31, 2007, and ‘Tomorrow’ (Demain) was shown between April 5-7, 2007. Both shows took place at l’Usine C in Montreal, Canada. Oleksa Lozowchuk scored music for Yves Theriault’s 2 hour documentary‘Liberee: la choix de Nathalie Simard’which aired many times on TVA and Illico. Marimbist Anne-Julie Caron, winner of the 2004 Prix d'Europe, has commissioned Oleksa Lozowchuk to write a work for solo marimba to be premiered in the summer of 2007. Caron is represented by Richard Paul Concert Artists. The Vancouver Symphony Orchestra performed the world premiere of Oleksa Lozowchuk's latest composition 'Aionion' on October 29th, 2005. The concert featuring Lozowchuk's work, was part of the VSO's Musically Speaking series, and took place at the Orpheum theatre in Vancouver, B.C. The concert was also recorded by CBC Radio for future broadcast. Bright Sadness had its Icelandic radio premiere on Tuesday, August 30th, 2005 on the program Hlaupanótan of the Icelandic National Broadcasting Service (Reykjavík). In addition, ‘Sun Rising’, ‘Christ is Born (Dance I)’, ‘Joy of All Sorrow’, ‘Cadenza’ and ‘Ektenia (Sun Setting)’ were featured on a second program on September 1, 2005. The Vancouver Symphony Orchestra has commissioned Oleksa Lozowchuk to compose a short work in commemoration of the 2010 Olympics in Vancouver. One of five composers chosen across Canada, Lozowchuk will have his new work premiered this upcoming October in a concert also featuring the Canadian Brass, as part of the Musically Speaking series for 2005-2006. Oleksa Lozowchuk’s music was featured in internationally reknowned dance/theatre company Pigeons International’s latest production ‘Cinq heure du matin’. Shows began this April 2005 at l’Usine C in Montreal, Canada. Oleksa Lozowchuk’s ‘Bright Sadness’ CD was nominated for the Album of the Year (Modern/Contemporary Classical) at this year’s Opus Prizes (http://www.cqm.qc.ca/m-prix.html). - ‘Christ is Born’ aired on Marvin Rosen’s unique radio program ‘Classical Discoveries’ on WPRB (103.3FM - Princeton, NJ) on December 23, 2004. - ‘Sun Rising’ & ‘Ektenia’ aired on Kalvos & Damian’s New Music Bazaar on the NonPop International WGDR FM 91.1 on December 18, 2004. - ‘Bright Sadness’ aired in full on Saturday, August 7th, 2004 from 11:00 am to 1:00 pm ET on the 21st Century classical music show Musica Nova on CJSR (FM 88.5) Edmonton. - ‘Bright Sadness’ had its American radio premiere on Wednesday, July 28th during the 8:00 o’clock hour (ET) on Marvin Rosen’s unique radio program ‘Classical Discoveries’ on WPRB (103.3FM - Princeton, NJ). The program is devoted to little known repertoire of all musical periods with an emphasis on the old (Baroque and before) and the new, and takes its listeners on musical voyages throughout the world. Oleksa Lozowchuk’s ‘Bright Sadness’ CD is distributed exclusively in Canada by SRI (www.sricanada.com) TSM001. On December 15th, 2003, the section ‘Kairos’ from Oleksa Lozowchuk’s latest CD Bright Sadness aired in the second hour of Andrea Ratuski’s evening classical program Northern Lights on CBC Radio One (11:00 pm) and CBC Radio Two (4:00am). The two pieces from ‘Kairos’ are Dance III and Ebb & Flow. During the Christmas season, host Jurgen Gothe played various pieces from Oleksa Lozowchuk's chamber work Bright Sadness on his drive-home show DiscDrive (CBC Radio Two). The cello section of the Quebec Symphony Orchestra premiered two sections from Oleksa Lozowchuk's chamber work Bright Sadness at the Musee de Quebec on November 8th, 2003 to a sold out crowd. The two pieces 'Christ is Born' and 'Joy of All Sorrow', arranged especially for 8 cellos, finished the evening's program to rapturous applause.